To reflect upon one’s dying is to cast dice. These writings have gained for me such intensity in their collection as to relax from their own content, sinking with each into an obscurity. I scatter them about. So abandon hope, all ye who enter here! Since I freely interpret from early works the thoughts of authors, unable to interrupt me in protest and straighten me out, any other mediums out there should feel free to join in. § Antigone’s brother had died “betraying” the city-state. 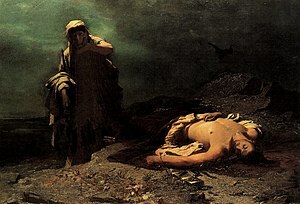 She could not bring him back to once more share his company; and by royal decree anyone burying his remains would receive the state’s capital punishment, so Antigone and her family could not even put him aside and get back to their lives. She chooses to defy the edict and is entombed alive as punishment. There she improvises a noose and hangs herself. By his edict the king had defied tradition, and retribution came two-fold: his son, betrothed to Antigone, joined her in death and his wife joined in death their son. Sophocles warns against delaying this burial, but also against a delay in applying a normal, non-earthen cover to the remains. For Sophocles there is a time to put it aside and return to the business of living. In this survey, just beginning, I focus attention on those aspects of life often upstaged by death. Here I will bring all of us so close to the matter as to make you wonder whether you are being warned or, by me, entrapped. Clearly I am disregarding Sophocles. § Shakespeare gives us all ringside seats into Hamlet’s mulling over emergent impressions of death. Hamlet is actively digesting the indigestible: not only talking to himself, but also listening to himself; not only conveying death as dream-like, but as not to be slept through. Now comes the last line which rather than the first ought to give this soliloquy its reputation. Hamlet realizes that not only is death an uncertain venture but glancing at it can fixate us short of attaining our higher goals. He really is “mad north-north-west” but “when the wind is southerly” he knows “a hawk from a hand saw:” that is from a heron. Unfortunately recognizing the jinx in others does not spare him or his aspirations from its effects. He fumbles through the rest of the play and succumbs along with his kingdom as a warning to take this distractive jinx seriously. Two millennia after Sophocles, it is a more personal rendition of the caveat against thrusting stark death upon oneself or others . . . but I naughtily persist. 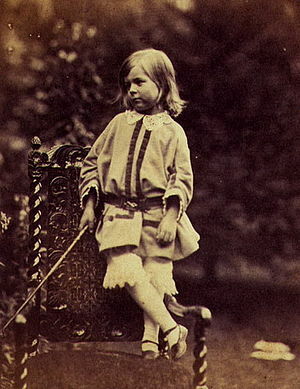 § In 1833 Arthur Henry Hallam, a close friend of Alfred Lord Tennyson, died. For years, when thinking of Hallam, Tennyson would write fragments of poetry, all in an unusual rhyme scheme. Finally he brought them together for publishing under the title of In Memoriam A.H.H. In the excerpts that I’ve chosen he addresses his Christ; then he questions his own motives in writing and in certain efforts to comfort himself. Is on the skull, which thou hadst made. He seems embarrassed at having wanted his Christ to rescind Hallam’s death, but is really at peace with that prevailing embarrassment commensurate in wanting the impossible. These lines are part of the prologue, but they may well have been written far into his bout with grief. Further on he acknowledges a facility with words that would allow him to misrepresent his feelings about Hallam. Has he been doing that? Through writing he relieves his painful imperative: doing something about which he can do very little. It is amazing how people will zero in on simple facts about death and then draw from them the most bazaar conclusions. Such are too frequent and for me too depressing. Here Tennyson takes a shot at a conclusion based on death’s being so common. Were I to assure someone who had broken their leg of how very many people break their legs, my remarks would be clearly unwelcome, but the subject of death is considered ripe for any nonsense which leaves one with a sense of being in control. 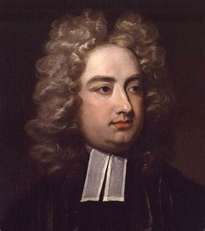 § Next James Boswell relates a conversation in which he invites Samuel Johnson to join him and others in viewing death as more palatable. Neither Johnson nor St. Vincent Millet would ever discount the price exacted by death for the sake of entering into some deceptively comfortable relationship with it. Boswell (narrating): When we were alone, I introduced the subject of death, and endeavored to maintain that the fear of it might be got over. I told him that David Hume said to me, he was no more uneasy that he should not be after this life, than that he had not been before he began to exist. Johnson: If he really thinks so, his perceptions are disturbed; he is mad: if he does not think so, he lies. He may tell you, he holds his finger in the flame of a candle, without feeling pain; would you believe him? When he dies, he at least gives up all he has. Boswell: Foote, Sir, told me that when he was very ill, he was not afraid to die. Johnson: It is not true, Sir. Hold a pistol to Foote’s breast, or to Hume’s breast, and threaten to kill them, and you’ll see how they behave. Boswell: But may we not fortify our minds for the approach of death? Johnson: No, Sir let it alone. It matters not how a man dies, but how he lives. The act of dying is not of importance; it lasts so short a time . . .. A man knows it must be so, and submits . . . I interpret Johnson’s submission as being to his own painful “knowing it must be so”—not to death itself. He would not buy peace of mind, with a lifetime of doubting his own mental faculties, to submit to a mere token. After all were your neighbors to paint their home chartreuse with pink shutters, you would accept the view as having been changed, but never the changed view. 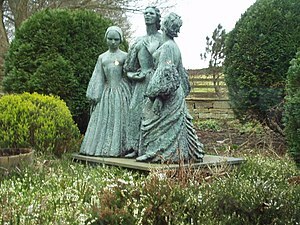 § Emily Bronte taught Heathclif of Wuthering Heights about the agony of a loved one’s loss from recollections. I read now in Emily’s poem Remembrance. Down to that tomb already more than mine! Emily submitted herself again and again to reliving her beloved’s having been wrenched away from her merely so that she might also relive with joy her beloved’s presence. The price became too much for her and she finally reined her imagination in from its ongoing struggle just in time to write Wuthering Heights, one of the English language’s finest novels. Emily died one year after publication with no inkling, through its early detraction, of how well her novel would in time be received; unless you count that wonderful feeling that she must have had about this work. § Upon Emily’s own death, her sister Charlotte wrote the following letter to a friend. Emily suffers no more from pain and weakness now. She never will suffer more in this world. She is gone, after a hard, short conflict. She died on Tuesday, the very day I wrote to you. I thought it very possible she might be with us still for weeks; and a few hours afterward she was in eternity. Yes, there is no Emily in time or on earth now. Yesterday we put her poor wasted, mortal frame quietly under the church pavement. We are very calm at present. Why should we be otherwise? The anguish of seeing her suffer is over; the spectacle of the pains of death is gone; the funeral day is past. We feel she is at peace. No need to tremble for the hard frost and the keen wind. Emily does not feel them. She died in a time of promise. We saw her taken from life in its prime. But it is God’s will, and the place where she has gone is better than she has left. In both Emily’s poem and Charlotte’s letter the esteem toward each subject is clear. It comes through Emily’s anguish and Charlotte’s release from anguish. In fact expressing that esteem to others may have even been for both sisters a release from separate sorrows. § Now Edna St. Vincent Millay takes aim at a conclusion based on different facts about death. There is afoot the notion that, since in time life ends undeniably and irrevocably, we ought not to expose ourselves to the pain of disappointment, but rather accept the end with resignation. There will be no such illusory compact in her Dirge Without Music. “I am not resigned to the shutting away of love’s hearts in the hard ground. A formula, a phrase remains—but the best is lost. § What more could be snatched from hopeless death? William Styron not only expresses his esteem for Lillian Hellman, he also renders a portrait and personal glimpse of her in this eulogy. Clearly William Styron would not allow Lillian’s death to eclipse Lillian herself. § Less personal is this beautiful elegy by A. E. Housman. He breathes enough life into the spirit of a deceased athlete to give him a last word over death. Lacking any will of its own, Death cannot be victorious or in control in any sense. Housman reminds us of this by lightly alluding to this dying as though it were personally planned. I now move from the paying of homage and the sharing of personal glimpses onto writing about oneself—that is about one’s own mortality. I found this part of the program the most difficult, because of how entwined in the courage to write about one’s own death is a curiosity about the very same. I passed over material that seemed to merely test the water, but in no way do I fault such verse conceived and completed in curiosity. 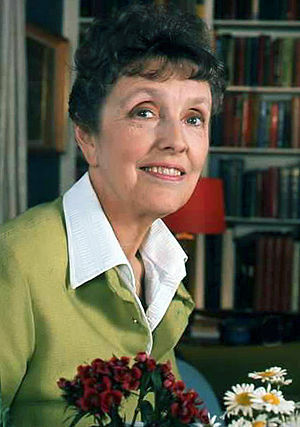 § Christina Rossetti and Joyce Grenfell were each concerned about what would be the impact of their death on those who cared about them. Both minimized any requirements of friendship, but remember that sometimes less can be more. Ms. Rossetti wove into her requests images, at once mystical and sobering, from the other side; whereas, for Ms. Grenfell, the comedienne, being separated from friends was all she needed to know about it. A close friend of mine once picked up a batch of relatives at the airport two hours before his daughter’s bat-mitzvah. On the way to the synagogue a railroad tie fell off the truck ahead. The accident disabled their car and nearly did much worse. Miraculously everyone arrived a couple of minutes late and Alan ad-libbed an introductory speech on how important is the seeing of difficulties in perspective. § The next writer’s life was stripped of the irrelevant by its remaining brevity. She grabbed at that new perspective, and calmed her inner turmoil. For her, things mattered; things did not. Tonight has come to breathe on me. That bloweth lightly as a breath! Is blowing ‘twixt my love and me. I turn, I turn my face to thee. When I was organizing this program, I discovered a bitter sweetness in pain met and handled along this winding route that only seems endless. This entry was posted in Presentations and tagged death, literature. Bookmark the permalink.